I bet most of you have already heard of aquafaba, which is just a fancy name for bean water. You can make your own or just drain the liquid from a can of organic chickpeas. Use it to whip up vegan meringues, make dairy-free cheese, ice cream, and even vegan butter. 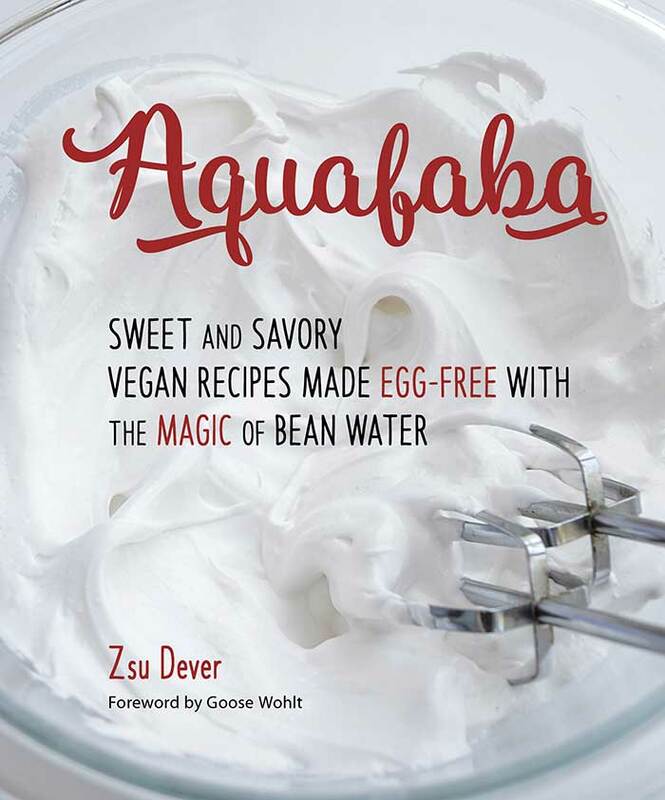 Zsu Dever has the recipe for all of those and many more in her new book, Aquafaba. 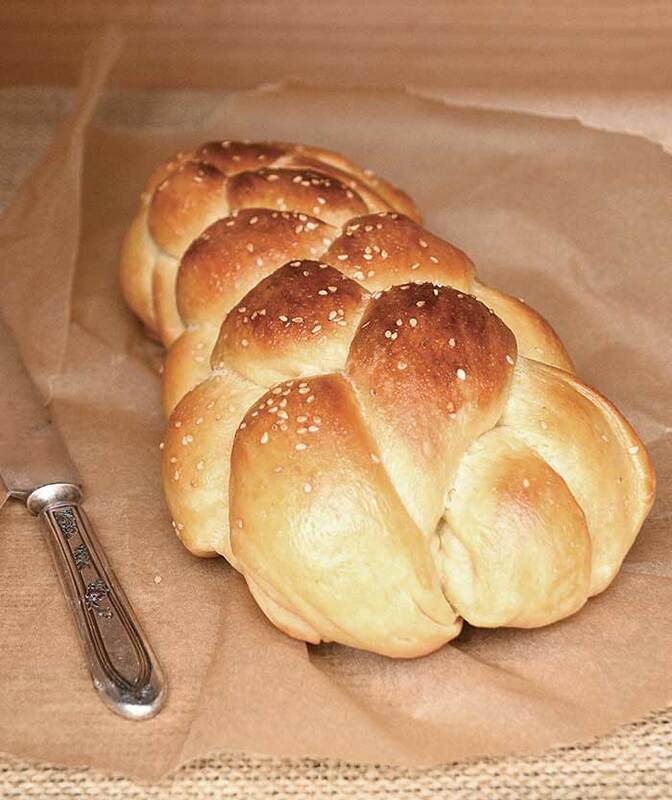 I was drawn to her recipe for Challah because I’ve only had a vegan version once and it was delicious. There’s something magical about rich bread dough. Zsu also has a brioche dough and I can’t wait to try it out next. But her book is more than just bread and sweet recipes. She has an aquafaba primer, condiments, breakfast, lunch, diner, pantry sweets, oven sweets, and even recipe to use up all the beans you’ll be cooking up! You can get her book on Amazon or where ever books are sold. Dough:Combine the water, 1 tablespoon of the maple syrup, and yeast in a medium bowl. Set aside for 5 minutes to proof. Add the remaining 5 tablespoons of the maple syrup and oil. Combine the flour, salt, and turmeric in a separate medium bowl and set aside. Add the aquafaba to a large bowl or the bowl of a stand mixer and use a whisk to beat the aquafaba until light and frothy, about 1 minute. Add the yeast mixture and about 4 cups of the flour mixture. Knead the dough in the stand mixer or using a large wooden spoon. Mix well and add the rest of the flour mixture as needed to create a firm dough; try adding most, or all, of the flour mixture. Knead the dough for 10 minutes to develop the gluten. The dough should be smooth and push back when poked. Transfer the dough to a lightly oiled bowl, cover the bowl, and let the dough rise in a warm place until doubled, about 1 hour. Deflate the dough and let it rise again until doubled, about another hour. Divide the dough in two and divide each half into three, four, or six pieces, depending on how you would like to braid the dough. Keep the pieces covered until ready to use. Roll each portion of dough into a 12-inch long, tapered rope. 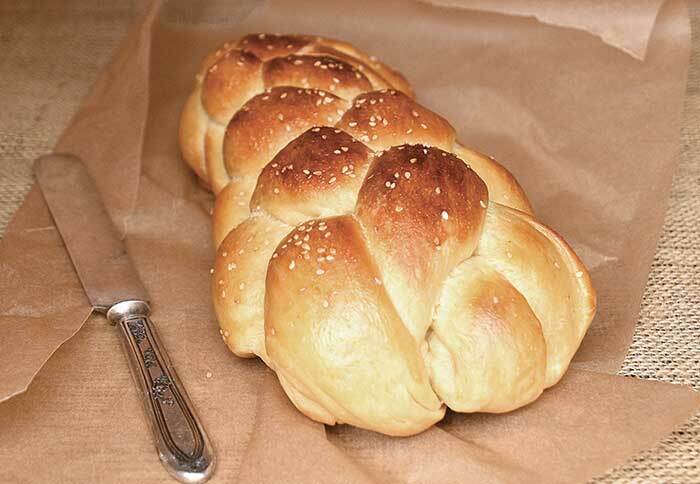 Braid half the ropes into a challah loaf. Set the braided dough on a baking sheet, repeat the process with the other half of the ropes, and cover each loaf with a towel. Let the dough rise in a warm place for 40 minutes. Aquafaba Wash:Combine the aquafaba and arrowroot or cornstarch in small saucepan. Cook over medium heat just until thickened. Cool slightly before use. (For a sweeter, slightly sticky wash, combine 3 tablespoons aquafaba with 1 tablespoon maple syrup; no need to heat the maple syrup mixture before use.) Preheat the oven to 350°F. Brush the aquafaba wash all over the bread and bake for 10 minutes. Brush the bread with the wash again, continue to bake for 20 to 25 more minutes, and check the bread for doneness. If the bread is browning too quickly, tent it with foil or continue to bake it upside down. Tap on the bottom of the bread; if it sounds hollow, it is probably ready. Cool before serving. Thank you, Kathy! I truly appreciate the support! Is there any chance I could omit the oil without any problem? This looks really good! Bread can be tricky, but you could try subbing some pumpkin puree and/ or extra aquafaba. It could change the structure and make it a heavier bread, but I think that would be the worst of it. Is it possible to make this with gluten free flour? Anything I should add to account for it? I am going to be experimenting with cassava flour for this recipe, I’ll update you! 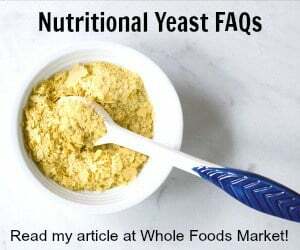 Any update on using cassava flour? Looking for a grain free recipe. Thanks! I’ve never cooked with cassava flour so I have no idea if it would work in this. Can you use the gluten free all purpose flour to make this recipe? I’m not sure, but it couldn’t hurt to try. Made this yesterday for the Sabbath. It rose quite well the first two times, but when I braided the dough and let it rise again it didn’t rise as well. It didn’t rise that much in the oven either and baked up more flat than I would have anticipated, the loaves were only about 2-2 1/2 inches high and was a little more crumbly than regular traditional challah bread. Great flavor, though. I made this yesterday to take to a vegan potluck. It was easy and delicious. I was confused by the 6-strand braid that I watched on Youtube so for the second loaf I did a basic 3-strand braid and it still looked beautiful. Wonderful recipe. Challah came out perfect and delicious. I’ve been finding that 5 3/4 cups of flour is too much. I’m using a stand mixer to knead. The recipes comes out perfect when I don’t try to add more than just over 4 cups. When I’ve added 4 1/2 – 5 cups the dough doesn’t come out right. Not a vegan, but this recipe came out beautifully, and I will use it again. Thanks!! Tried this today. This was only my second time making any type of bread other than pumpkin, and it turned out awesome! I was so excited! It looked great and it also tasted great. I did find the dough very crumbly so I added about 3 Tbs water and 1 Tbs more oil. Thank you for a great recipe! Can this be done in a bread machine? I haven’t made it in a bread machine, but I think it should work.